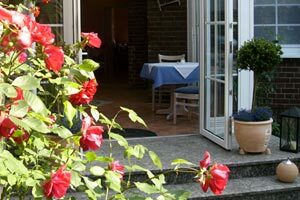 Welcome to our family-owned hotel “Am Weyerhof” in Kerpen-Sindorf. 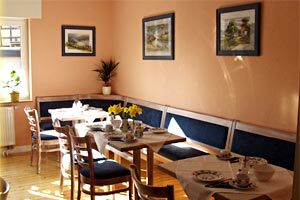 We are glad you chose to visit Kerpen, the hometown of Adolph Kolping and Michael Schumacher. Our hotel is close to the town of Cologne, the castle town of Brühl with Phantasialand and the imperial city Aachen. In the Michael Schumacher Kart & Event Centre all motor sport fans can have a good time. Cycling Enthusiasts will find numerous well developed routes for bicycle tours in the surrounding Areal. 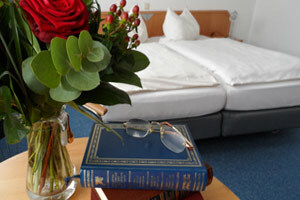 You are in good hands whether visiting for vacation, business or to attend the Cologne Fair. We would like to make your stay in our house as pleasant as possible! Free parking and secure bicycle shelter is available for up to 30 bicycles. The Erftradweg is only 1.7 km away, Cologne is 20 minutes and Aachen 30 minutes away via the highway. The Eifel mountains are close by. It is a 5 minute walk to the train station where you can get a quick ride to the Cologne Fair Halls. After a relaxed night in our quiet and spacious rooms, an extensive breakfast buffet welcomes you in comfortable rooms and winter garden. 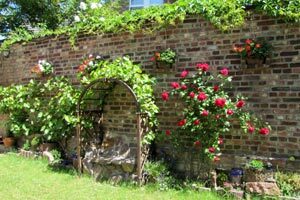 Many resaturants with a wide variety of styles are close by.